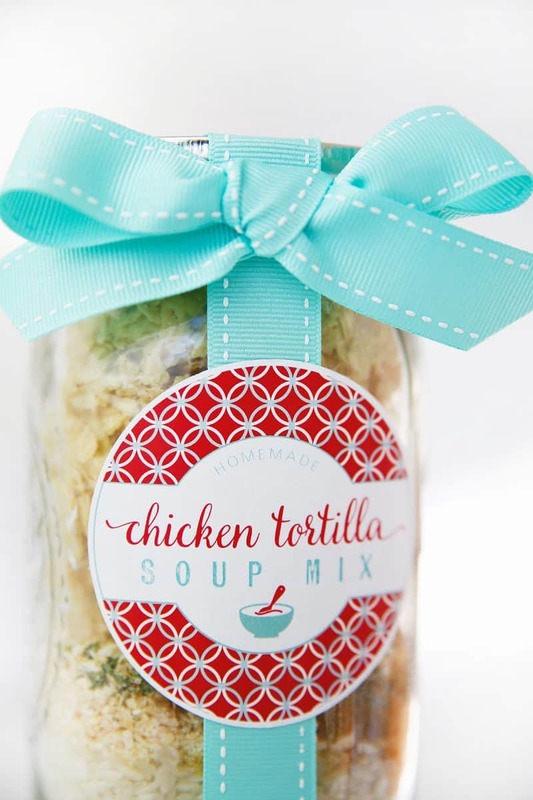 Delicious Chicken Tortilla soup mix in a jar is a super useful gift. Make someone’s day by helping them prepare and easy meal. In a quart wide mouth sized jar, place rice, pressing down carefully. Then add seasonings on top of rice. Put about 2 -2 1/2 cups crushed tortilla chips in a plastic zip lock bag. Place tortilla chips inside jar on top of rice. Close with lid. Wrap up with a can of chicken if you like. Remove tortilla chips from the jar and set aside. Pour remaining jar contents into a large pot. Add 10 cups of water and one 10-13 oz can of chicken and a can of diced tomatoes and green chilies. Bring to a boil, then lower heat, cover and simmer for 20 minutes or until rice is tender. Add tortilla chips, and cover and simmer for five more minutes. Tortilla chips can also be added on top of the soup. Make 12 Cups. Place the pre-measured items in a jar and the recipient only needs to add water, tomatoes, and chicken. You can even wrap up the can of chicken to make sure they have everything they need. Labels can be easily made on your computer and printed on a solid sheet of sticker paper. Tags can also be made out of cardstock and scrapbook papers. If you like you can download the labels pictured for $2.00. 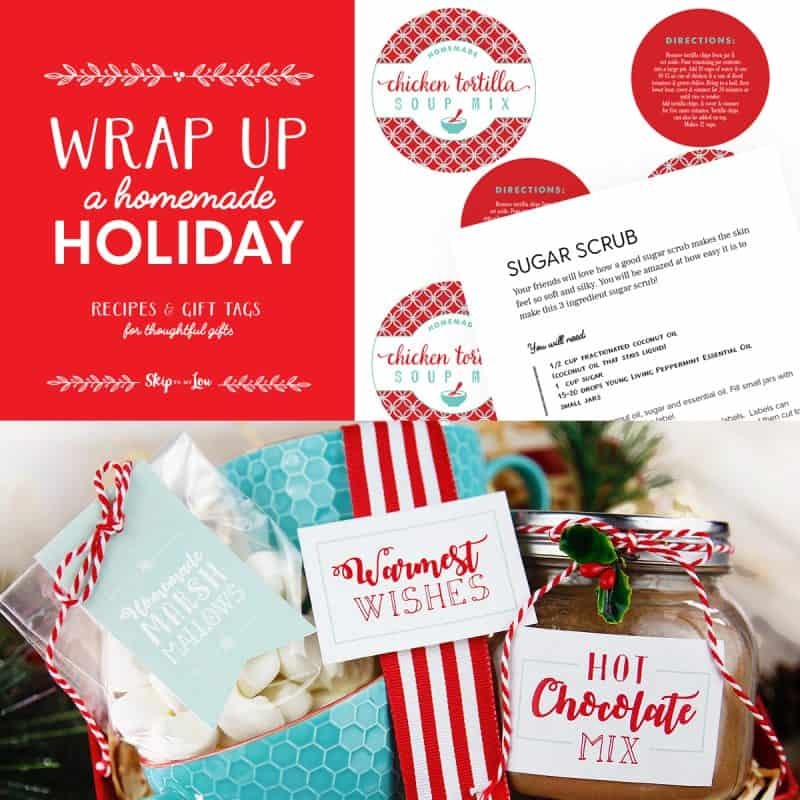 The individual labels can be purchased for $2.00 or all nine gift labels and recipes for only $7.95. 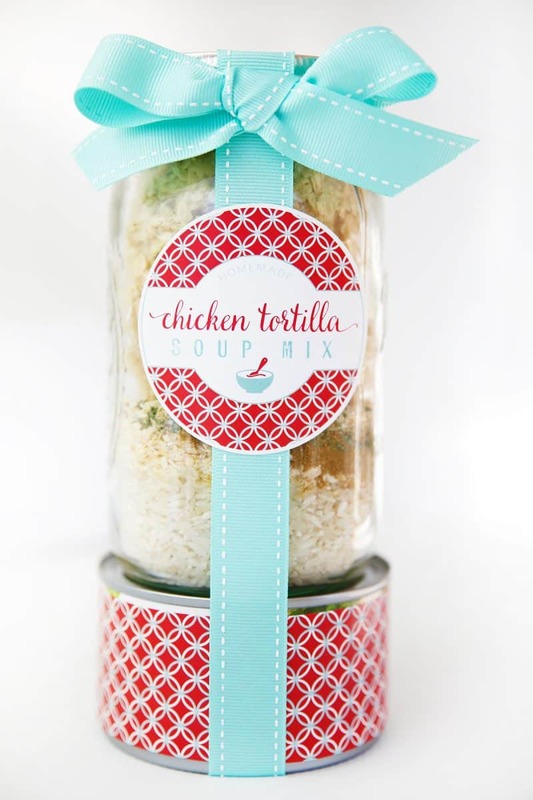 Labels include Chicken Tortilla Soup Mix, Friendship Soup Mix, Homemade Dog Biscuits, Bath Bombs, Sugar Scrub, Pancake Mix, Hot Chocolate Mix, Chocolate Chip Cookie Mix, and Strawberry Lemonade Concentrate.